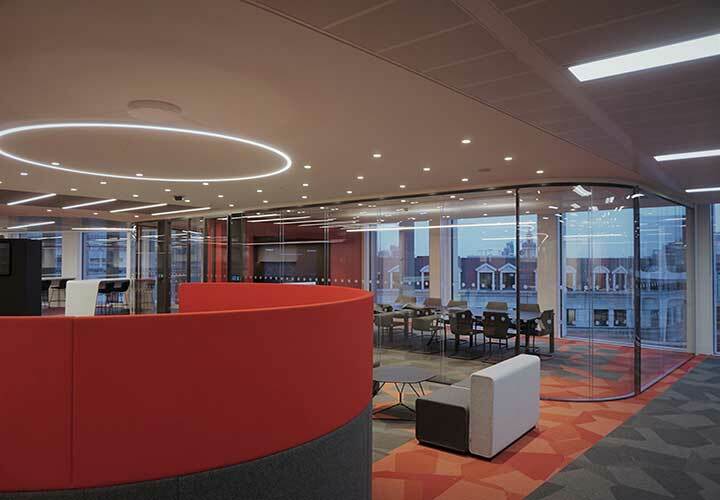 New Headquarters premises over 3 floors catering for Client trading, administrative and public relations functions requiring a high degree of acoustic privacy and visual impact. 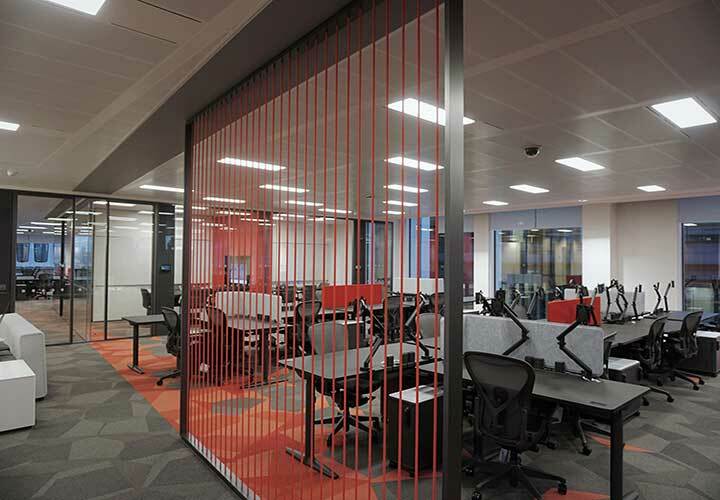 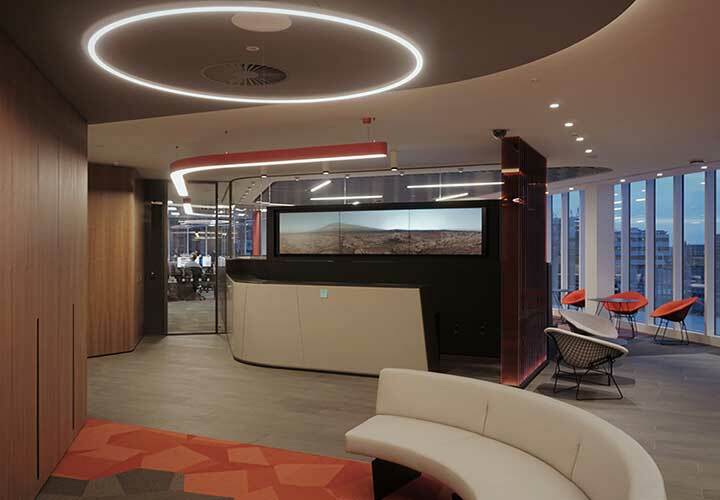 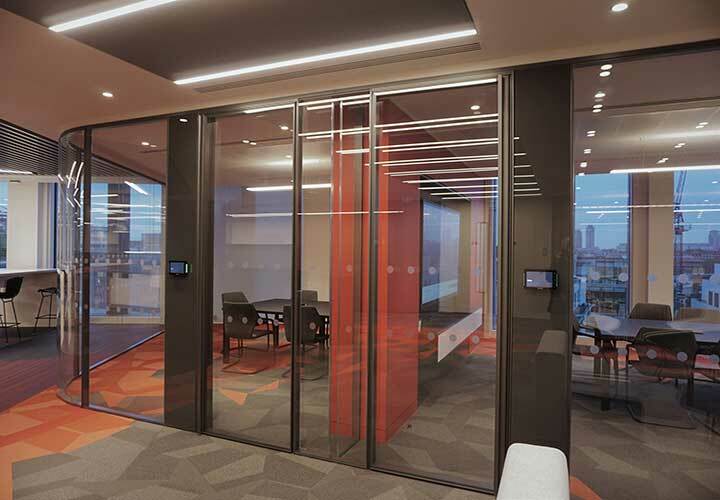 Ceilings, lighting, flooring, furniture and partition layouts have been coordinated with the highest precision to deliver a flowing effect, enhanced by the frameless design of the Vista system. 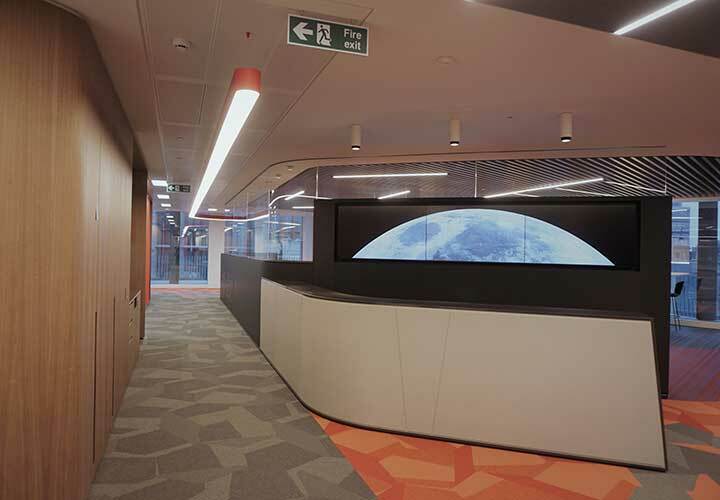 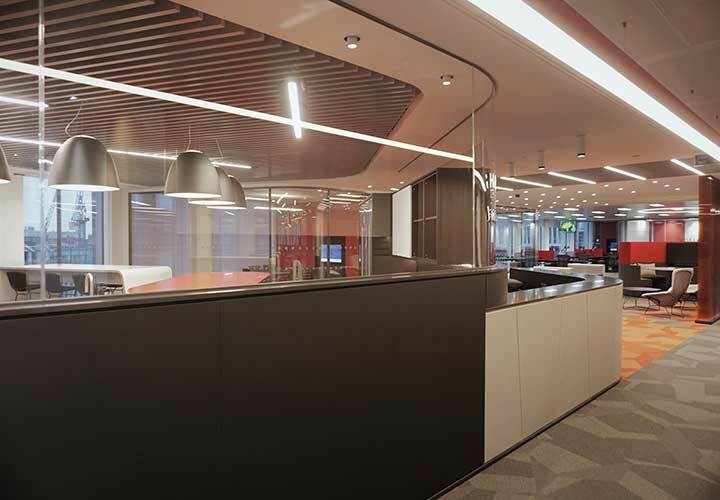 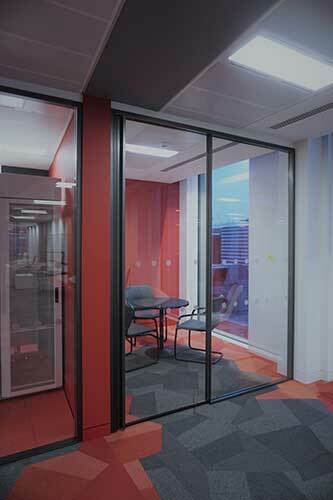 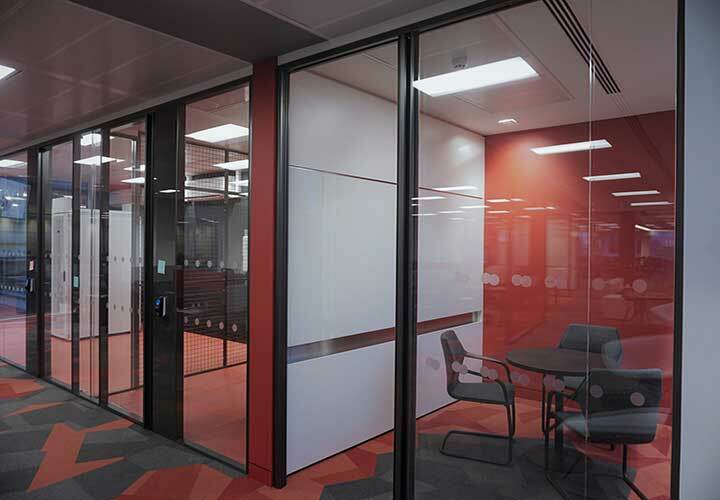 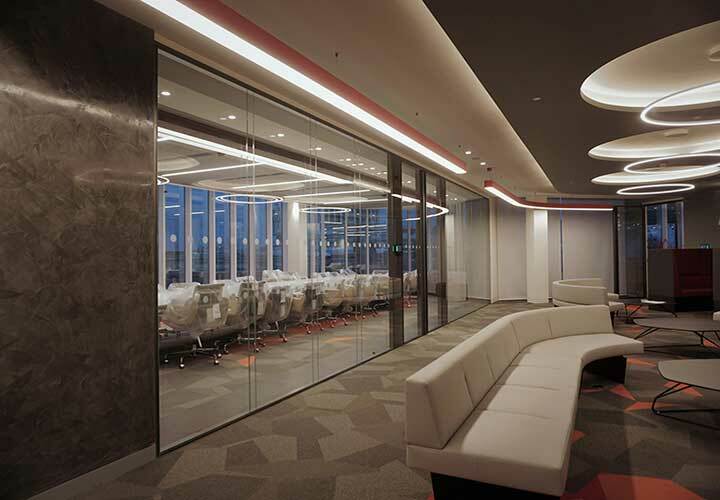 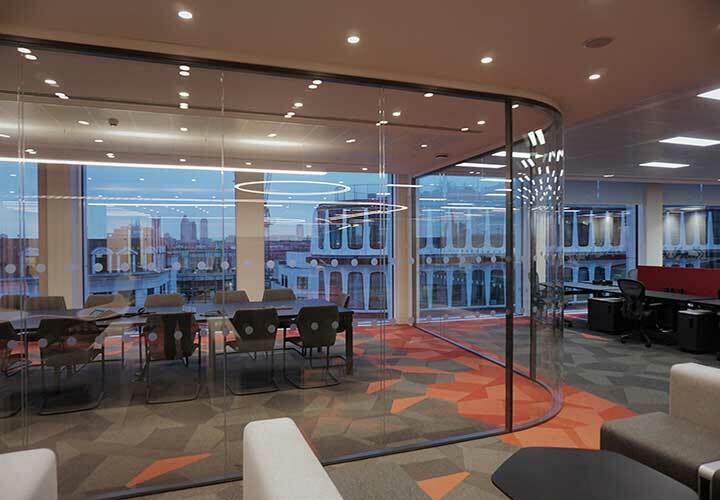 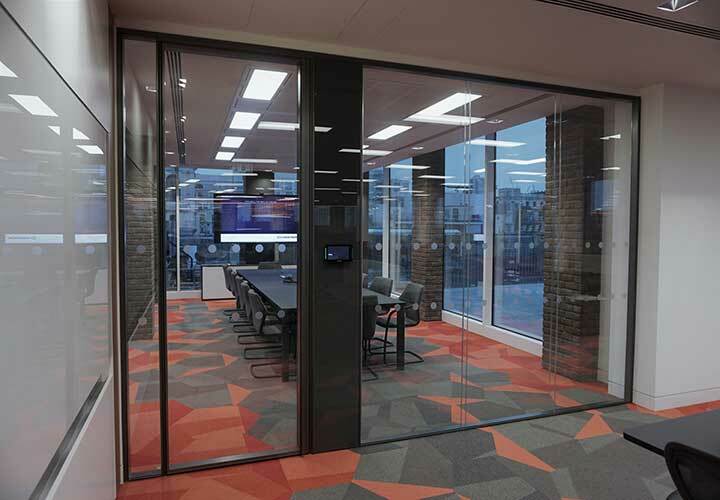 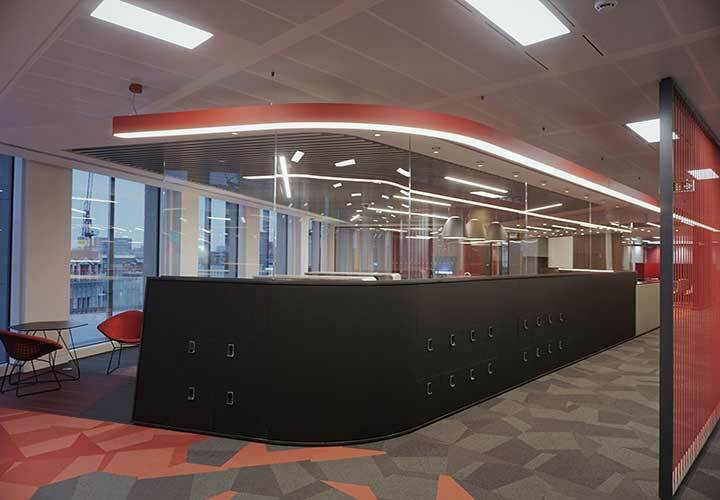 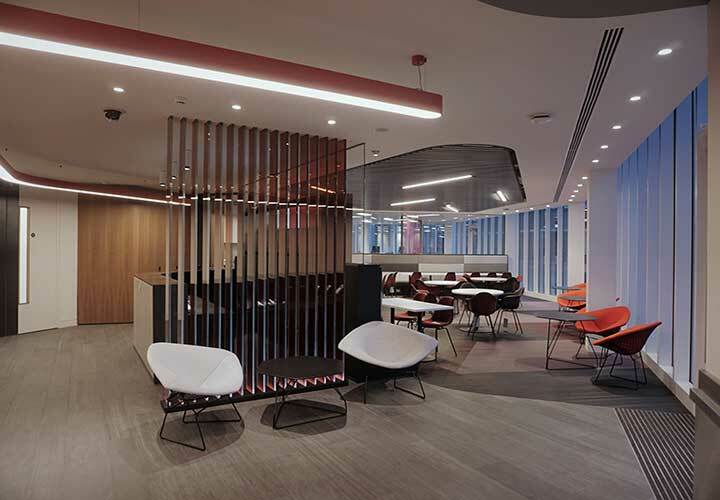 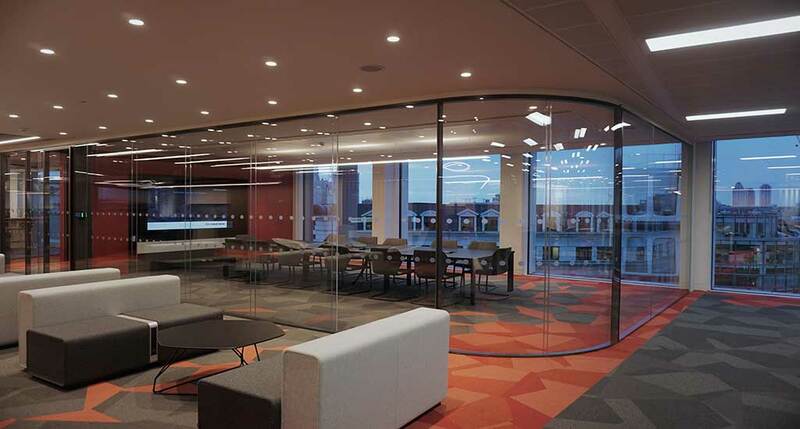 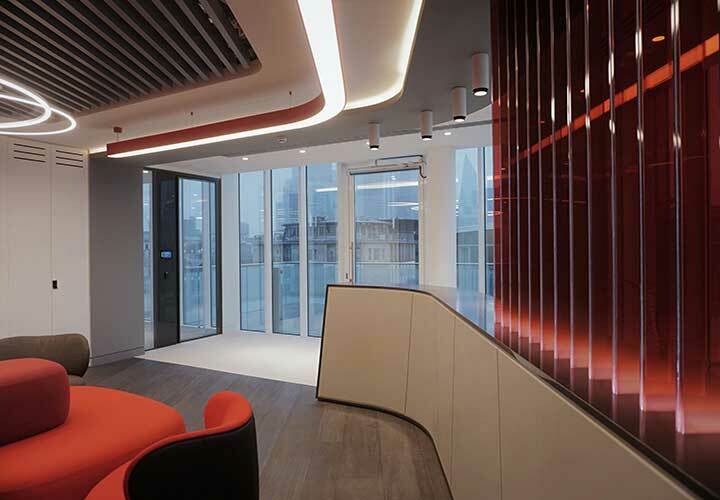 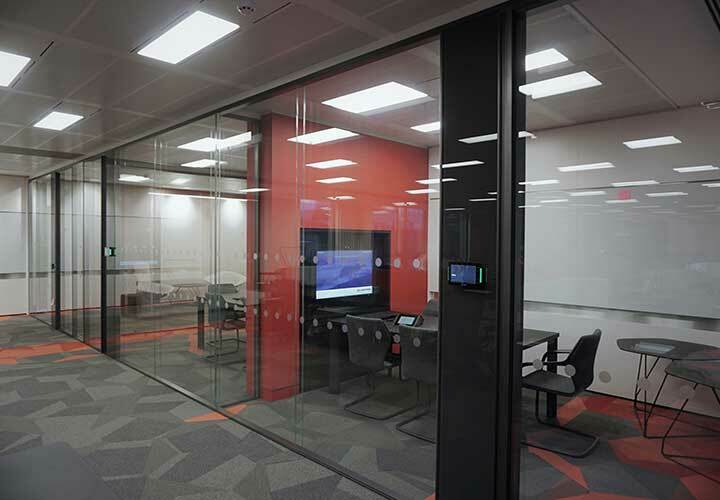 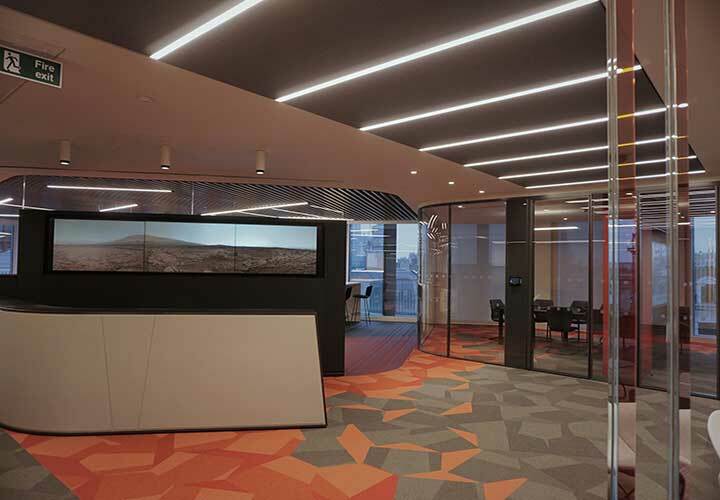 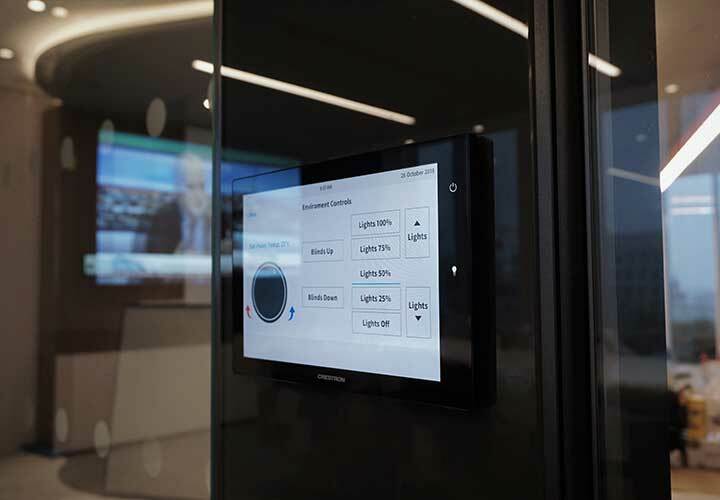 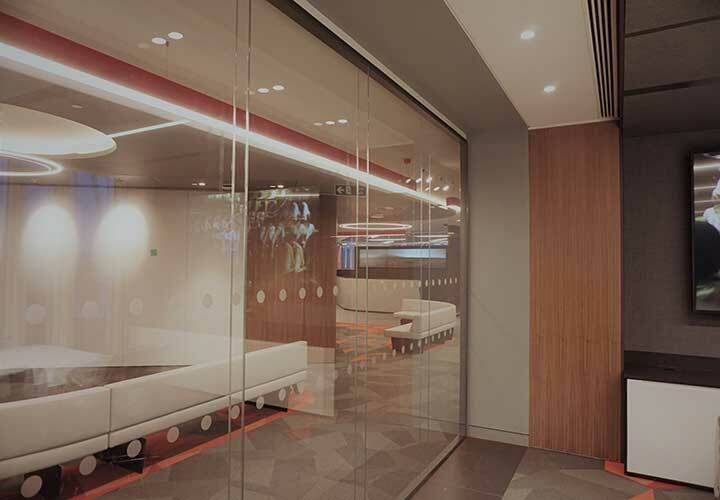 Corners have been avoided using double glazed curved glass which connect to the straight sections together with double glazed doors to achieve 40 dW site measured acoustic insulation levels between meeting rooms and open plan areas.